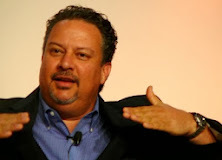 It gives me great pleasure to inform you that the next Smart Grid Educational Series Webinar scheduled for May 14th 2012 at 1 pm Pacific will feature Andres Carvallo of Proximetry (former CIO of Austin Energy) in a 45 minute keynote address followed by a detailed Q&A with audience participation for 30-45 minutes. Andres is a renowned speaker on Smart Grid related issues in the industry and has authored a book on the subject as well as lead a revolutionary grid modernization program at Austin Energy prior to joining Proximetry. To register for the webinar, please click on the link below and select the “register” button to input your info. Registration is mandatory to log into the webinar. The webinar will be recorded and the link for the recording will be sent by May 16th 2012. Here is a summary of what will be covered in the presentation. Are you planning to deploy a fully integrated smart grid 1.0? Meaning smart meters, demand response, distribution automation, substation automation, SCADA/EMS integration, back office integration (CIS/Billing, ERP, EAMS). Or are you planning to deploy a fully integrated smart grid 2.0? Meaning customer EV charging automation, customer Solar PV integration, customer Home/Building Energy Management System integration, and customer Energy Storage integration with smart meters, demand response, distribution automation, substation automation, SCADA/EMS integration, and back office integration (CIS/Billing, ERP, EAMS). If you are doing either, you would not want to miss how to architect this challenge and not make the same mistakes that many early pioneers have already made. Learn how to serve mission-critical, multi-protocol, multi-frequency, and multi-vendor networks seamlessly (4G LTE, WiMAX, 3G, 2G, Wi-Fi, PLC, Fiber, Ethernet RF, and using Mesh, P2P, etc), how to achieve policy and network optimization with easy traffic prioritization across a variety of wireless infrastructures, how to deliver comprehensive network management capabilities from the network operations center to all devices within the network environment, and how to build true accountability, security and traceability across all your network environments to finally support all your desired applications, preferred device vendors, preferred software systems into one single world. I look forward to your participation in this informative and thought provoking Smart Grid webinar on May 14th at 1 pm Pacific featuring a true industry pioneer.